The Dogfather, a hot dog truck located at 84 Holden Street in Worcester, is having a chili dog eating contest on Saturday, May 14 at 2PM. The Dogfather will be hosting his first annual hotdog eating contest on Saturday May 14th, 2011 at 2pm at 84 Holden St. in Worcester. This is at the corner of Shore Dr. And Holden St. just across from The Unitarian Universalist Church of Worcester and Bancroft School. Spectator admission and parking is free. 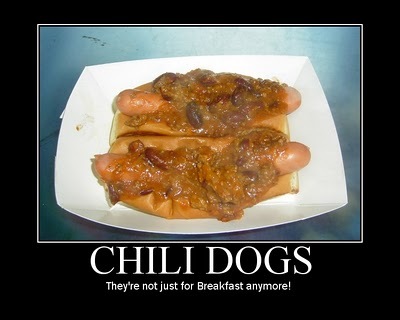 For a $10.00 donation, which will go to UUCW, participants will have 15 minutes to eat as many chili dogs as they can. First prize is one year worth of FREE hotdogs at The Dogfather hotdog truck. Additional prizes and raffles will also be available to raise funds for the church. Polar Soda will be at the contest with a tasting booth. We'll also be raffling off FREE soda for a year to benefit the UUCW. If you fancy yourself a competitive eater, this is the event for you. For more information, check the Dogfather's Facebook Page. The Hotdogman will be there shooting an episode of Hot Dog Stories.